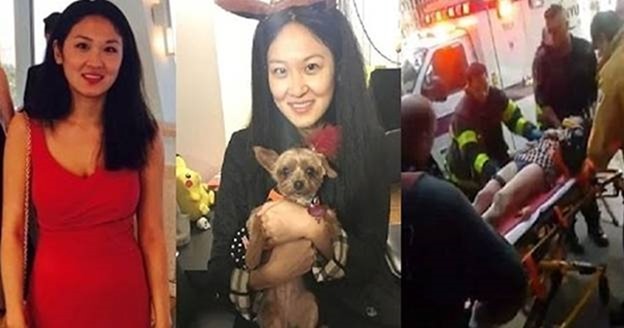 A terrible accident happened when a subway train struck 25-year-old Sophie Yu after she fainted and fell. Unfortunately, she lost her right arm and leg, however, she is lucky to be alive. The woman waited for a 6 train. The eyewitnesses claim the accident happened at about 1.30 pm. They also say that the moment she lost her consciousness, she fell and as she was so near to the edge, had been stuck under the train. The driver of the subway train saw the unfortunate woman, tried to stop the train but couldn’t stop it on time. There’s a video on Facebook showing the emergency stuff carrying Yu to the ambulance car in order to get to the hospital as soon as possible. Sadly, her arm and leg were in such a bad condition that the doctors had no choice but to amputate them. Derek Mika, Yu’s doorman was shocked when he heard the news of this terrible accident. Subway trains continued to operate their regular schedule after just one hour after the accident.